My love for corals and mints is endless. 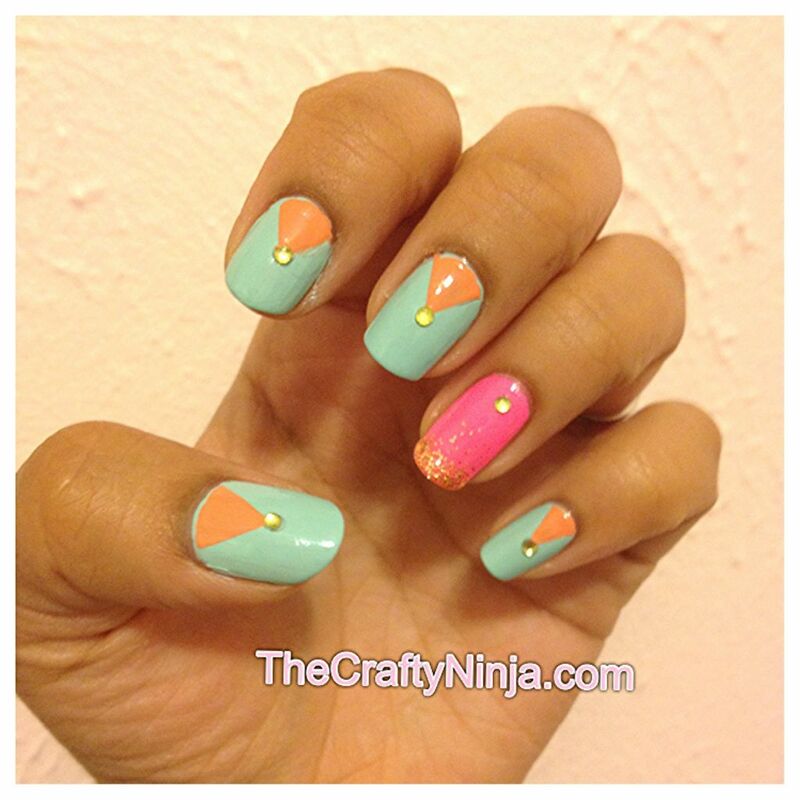 For this look I combined the two colors to create this triangle nail art manicure with a splash of neon pink and sparkle. 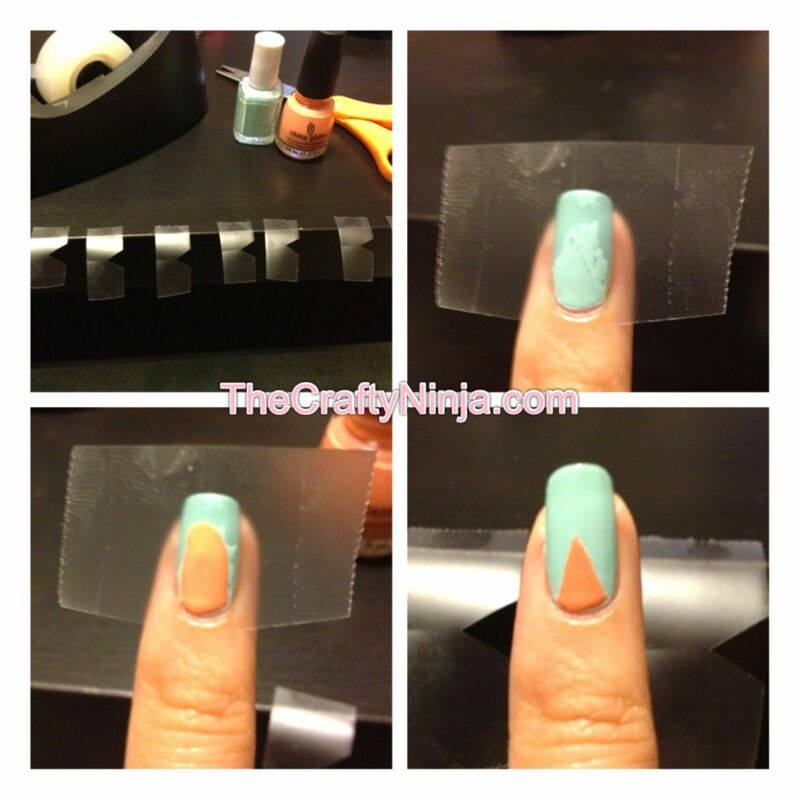 To create my triangle mani look I cut out triangle pieces in the scotch tape. Wait about 30 minutes or until your nails are completely dry or it will smudge. Next I laid the tape carefully and rubbed the edges to stick down. I painted China Glaze Peachy Keen over the triangle. Then I took the tape off right after. Note I do one nail at a time. I always use Finger Paints Base Coat and Finger Paints Top Coat to seal and protect my nails. To create the Neon Pink gradation I used China Glaze Shocking Pink and Cover Girl Gold Rush. First painted the base and let dry. Then I added the gold glitter half way up my nails to the tip. Then went over only the tip several times with the gold glitter polish to get more glitter on the tips and create the gradient look. Very simple to do! 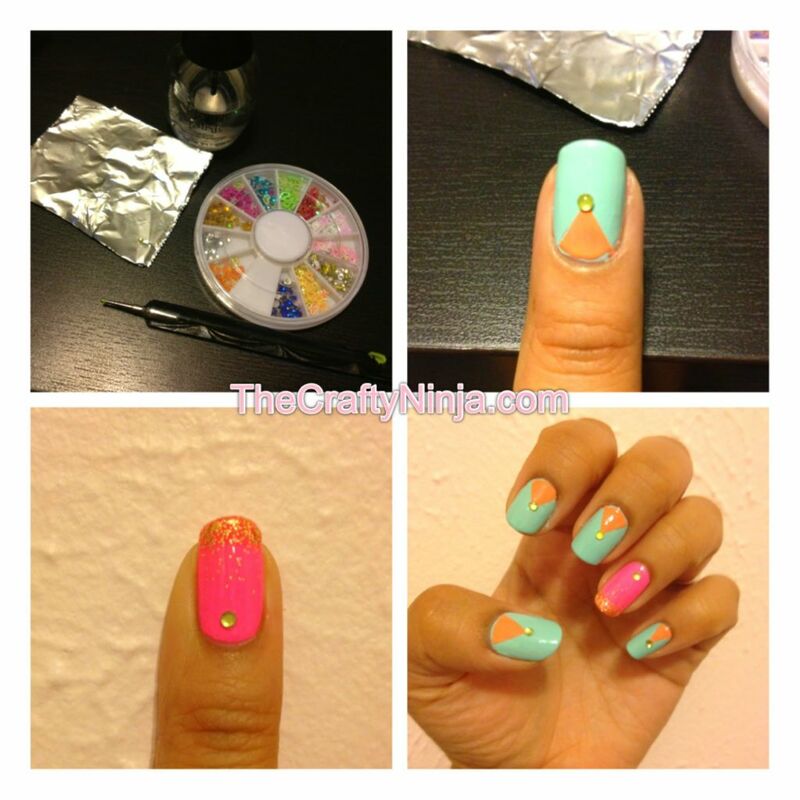 To add Rhinestones to your nails is also very easy. I use Finger Paints Top Coat as the glue and placed a dab on an aluminum foil. With the Nail dot tool I dabbed it into the clear top coat a put it on my nail where I wanted the Rhinestone to go. Then with the nail dot tool I pick up the Rhinestone and place it on my nail and press down with the nail dot tool to glue it together. Once finished I polished all over with the clear top coat.